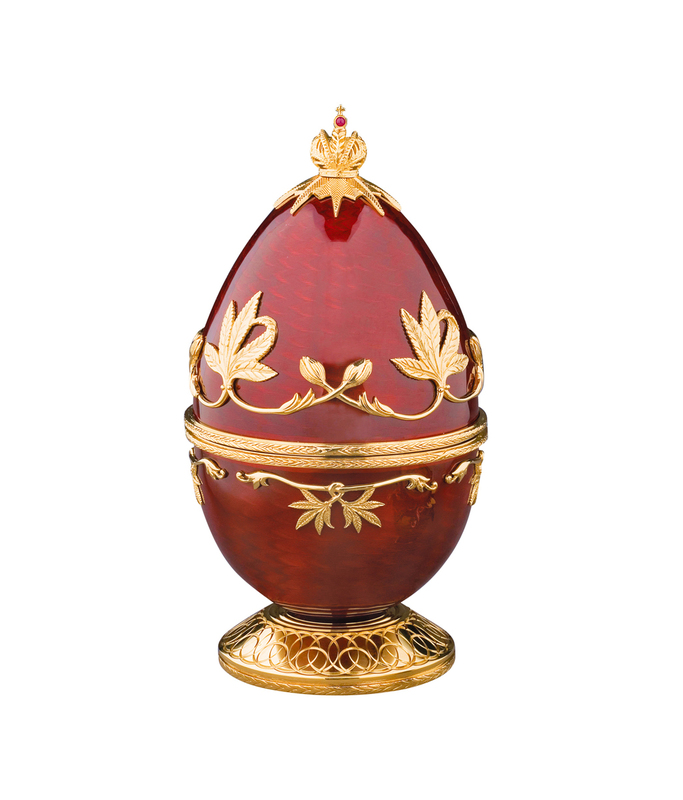 Theo Fabergé designed his RED ADMIRAL EGG as a token to the beauty and fragility of nature. 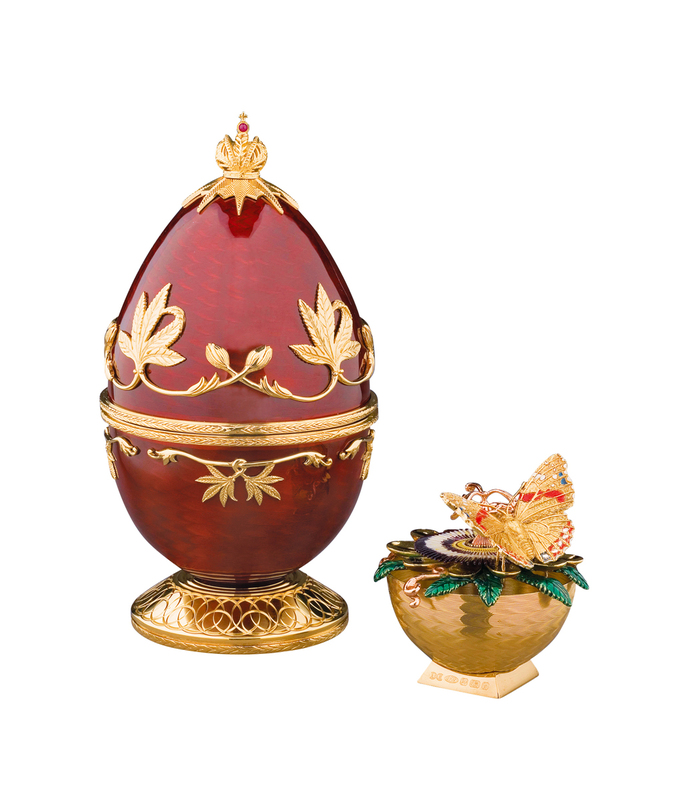 He was inspired by the significance of the butterfly and by Carl Fabergé's love of flower surprises, thus following the family tradition but within his own style. The Egg is made using materials and techniques made famous by the Fabergé family. The RED ADMIRAL EGG is engine turned and then guilloché enamelled in rich red, one of the most difficult and individual enamel colours to achieve. The exterior surfaces are ornamented in silver and gold with the leaves and seed pods of an exquisite passion flower. 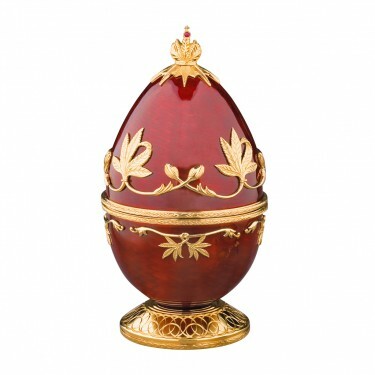 The base is ornamentally turned on Theo Fabergé's holzapffel lathe dating from 1862. The finial is the Imperial Crown of the Romanov dynasty, set with a cabochon ruby. Open the Egg to reveal the surprise; a red admiral butterfly fashioned in gold and silver, its wings hand enamelled and set with ten sparkling diamonds, settles on a passion flower enamelled in purple and cream. The flower's support is engine turned and the bowl ornamented with leaves enamelled in vibrant green, standing on a plinth bearing the full British hallmark. 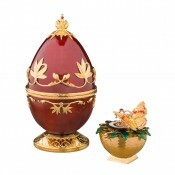 Each creation is numbered and bears Theo Fabergé's name.